Peabody Energy has launched a global campaign to build awareness and support to eliminate energy poverty, increase access to low-cost electricity and improve emissions through advanced clean coal technologies. Pursue greater development of next-generation technologies and the regulatory framework to capture, use and store carbon dioxide emissions. Peabody CEO, Gregory Boyce, commented: "More than a decade ago, the United Nations Millennium Goals called for a rapid halving of extreme global poverty by 2015 – and a half century ago, US President Johnson declared war on poverty. "Yet today, 3.5 billion people in the world lack adequate access to energy, and more than 4 million people needlessly die each year from the effects of energy poverty. We have the technologies and the global resources to end this crisis. All of us must work together toward realistic solutions." Half of the world's population lack adequate access to energy, including 1.2 billion children, based on data from the International Energy Agency and the World Bank. Household air pollution from indoor fires is estimated to be the fourth leading cause of death in the world, and results in a staggering 100 million years of life prematurely lost as measured by Disability Adjusted Life Years (DALY). Each DALY represents one year of healthy life lost to disease. Boyce added: "These sobering statistics demonstrate that energy poverty is the real human and environmental crisis facing the world today. The greatest crisis we confront is not an environmental crisis predicted by computer models, but a human crisis fully within our power to solve. For too long, we have been focused on the wrong priorities." Also driving the need for affordable energy are longer-term demographic trends. The global population is expanding by more than 200 000 people each day. Urban areas are forecast to grow by more than 70 million annually through 2020, according to the United Nations Department of Economic and Social Affairs. All energy forms are necessary to end global energy poverty and increase access to low-cost electricity. Coal is the world's most abundant energy source and fastest-growing major fuel. According to analysts, coal is expected to surpass oil as the largest energy source in coming years. The fossil fuel must play an important role in any plan to end global energy poverty and increase access to low-cost electricity, while using advanced technologies to improve emissions. "Coal is a fundamental environmental solution when turned into electricity and synthetic natural gas at large scale. Coal-fuelled electricity and synthetic natural gas can eliminate widespread deforestation from gathering biomass as well as the devastating effects of energy poverty," explained Boyce. "The drive by some to reduce coal use and make energy scarce and expensive is unsustainable, hurting people and harming the environment. We need to recognise the enormous health and environmental benefits in ending energy poverty, eliminating household air pollution and increasing access to low-cost electricity. Everyone in the world deserves to live as well as those in developed nations. Let's use more energy, more cleanly, every day." In the US, coal is used to generate approximately 40% of electricity. States that do not use coal pay electricity rates that are more than 50% higher than states that use coal for electricity generation. 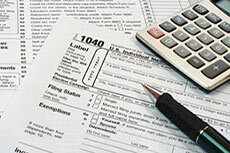 High energy costs create a regressive tax on Americans, with lower-income households spending a far greater portion of their income on energy bills. 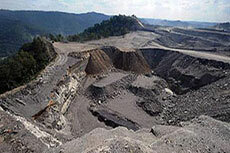 Coal's environmental profile has continued to improve. Coal used for electricity generation has increased more than 170% since 1970, while key power plant emissions have been reduced by nearly 90% per unit of electricity. Peabody believes that the US policy framework must recognise the role of coal in low-cost electricity, protect existing coal plants from regulatory overreach, and encourage the development of efficient new coal plants. The US should continue to invest in research and development for next-generation technologies. Australia leads the world in coal exports. Coal is the nation's second-largest export and essential for jobs and economic strength, contributing nearly $43 billion each year to the economy, based on research from the Royal Melbourne Institute of Technology. Coal also is the lowest-cost fuel for electricity generation. Challenging environmental targets and taxes have placed strains on Australian families and businesses. It is therefore essential that the new government be supported in its call to end the failed carbon tax scheme, scale back renewable energy targets, drive down electricity costs, restore jobs and strengthen the country's competitive advantage in the Australasian region. In China, coal demand is rising as it increasingly is used for electricity generation and is turned into natural gas, transportation fuels and chemicals. China will reduce the direct use of coal in residences and businesses while it increases its use of coal in electricity plants and conversion applications. China is also replacing older coal plants with advanced coal units, as well as using synthetic gas from coal in a range of applications. This approach, combined with the installation of major emissions controls on power plants and replacing older plants with advanced technologies, is similar to that taken by the US. "The world continues to turn to coal to solve its largest energy and economic challenges, but we need far more action to expand access to low-cost electricity to help families, power economies and pull billions out of energy poverty," explained Boyce. "We also need a new approach to rational environmental policy. We submit that the right path is through increased deployment of today's advanced technologies such as supercritical coal generation that lead to continued emissions reductions. Longer term, research and development in next-generation technologies can lead to the ultimate goal of near-zero emissions from coal." Advanced coal technologies, including high-efficiency supercritical coal generation, state-of-the-art emissions control applications and coal conversion methods through gasification, are all being employed across the world today. A critical step in improving global emissions would be far greater deployment of these existing technologies. Next generation technologies such as carbon capture, use and storage applications need further research and development investment, including greater private-public partnerships in research and development, as well as new and improved regulations to allow for carbon storage. Direct outreach to governments, institutions and other stakeholders toward actions that increase energy access and expand the development and use of advanced technologies. 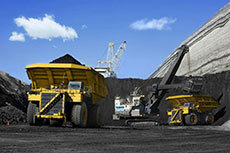 Peabody Energy has announced financial results for 2013, amid weak prices for Australian coal. 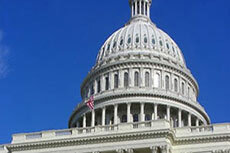 Peabody Energy has responded to President Obama’s State of the Union address. Peabody ratchets back output from low-quality coal mines. US coal miner, Peabody Energy, has elected Michael Sutherlin, the former head of Joy Global, to its board of directors.